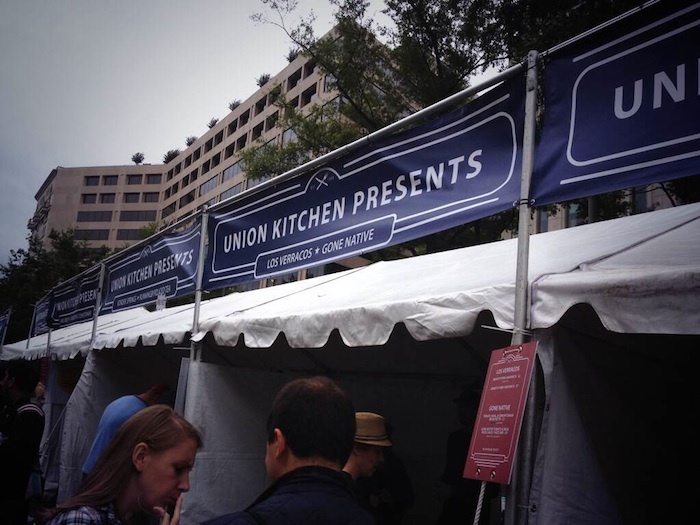 Union Kitchen, a D.C. food incubator, presented 22 different vendors at The Taste of DC. 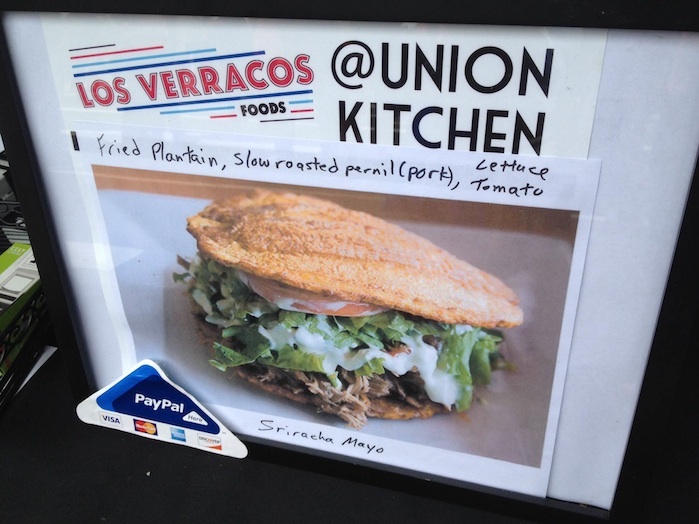 I spent much of the first day exploring the twenty-two vendors hailing from Union Kitchen. With over 50 regular members, Union Kitchen is DC’s largest food incubator, offering a variety of services to the area’s food startups. 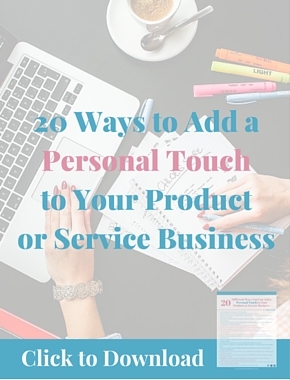 My previous experience with some of these local businesses has been nothing short of amazing, so I went in having pretty high expectations. Sample of Los Verracos’ Tasting Menu at The Taste of DC. 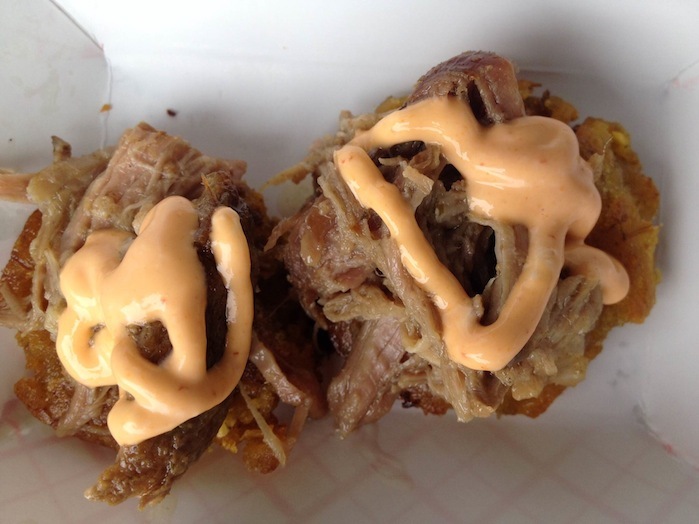 I started with Los Verracos, who offered a beautiful set of crispy fried plantains topped with slow braised pork and finished with a creamy sriracha mayonnaise. I’ve never spent $2 on food and been so happy. Deconstructed the plaintains from Los Verracos so you could get a better look. Next, I moved on to Cured DC and Motisola Chili where I sampled some amazing chorizo and vegetarian chili. Vegetarian chili can sometimes be disappointing and bland, especially if you’re a meat eater. 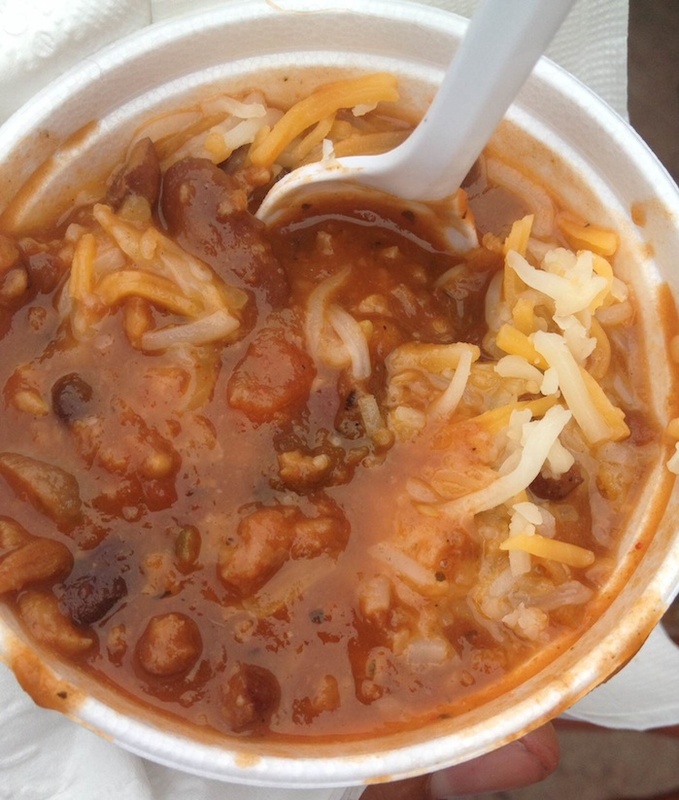 But the chili from Motisola was really good. Next up, was a quick bite (literally!) 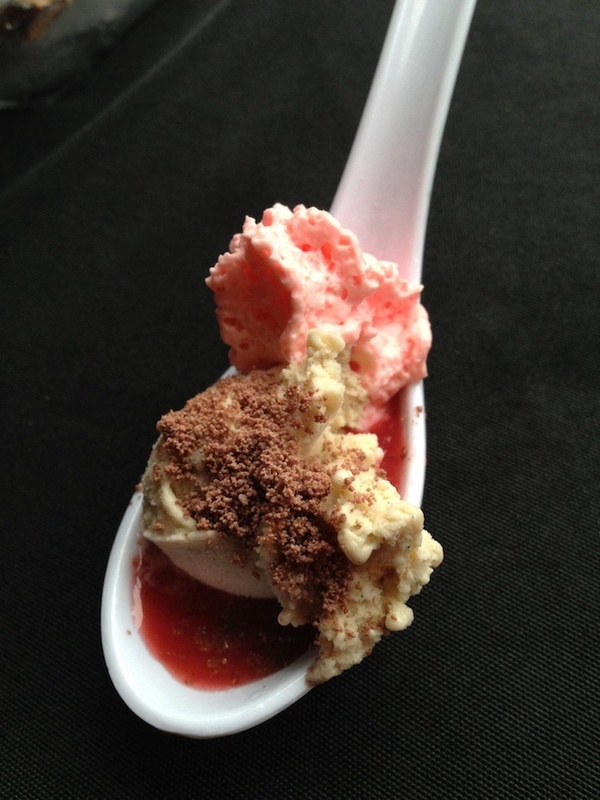 of dessert from Milk Cult, which served a jam-packed spoonful of brown sugar banana ice cream with strawberry puree, Nutella powder and maraschino cherry whipped cream (drooling at the thought of this). 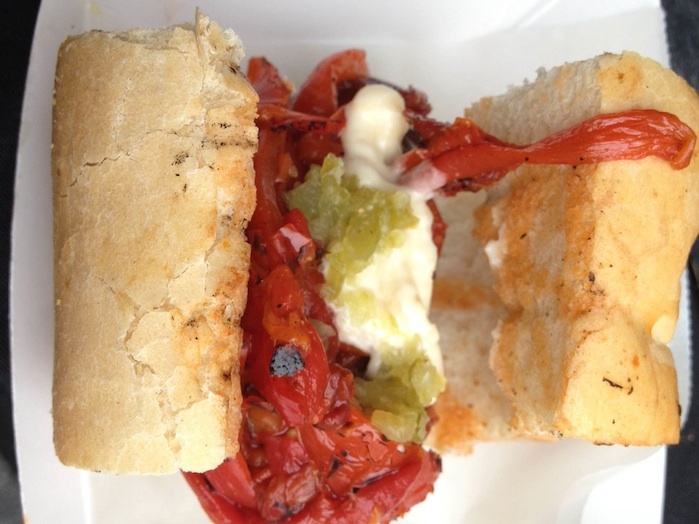 One of the major highlights from day 1 of the Taste was Chaya DC. Usually, when I see words like “vegan, gluten-free, local, sustainable” in a menu description I’m a little bit turned off. A lot of restaurants use these words to charge higher prices, and to serve a crowd that is not buying this food for health reasons, but because they look cool buying it. 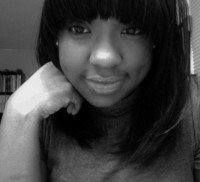 Chaya literally made me eat my words. 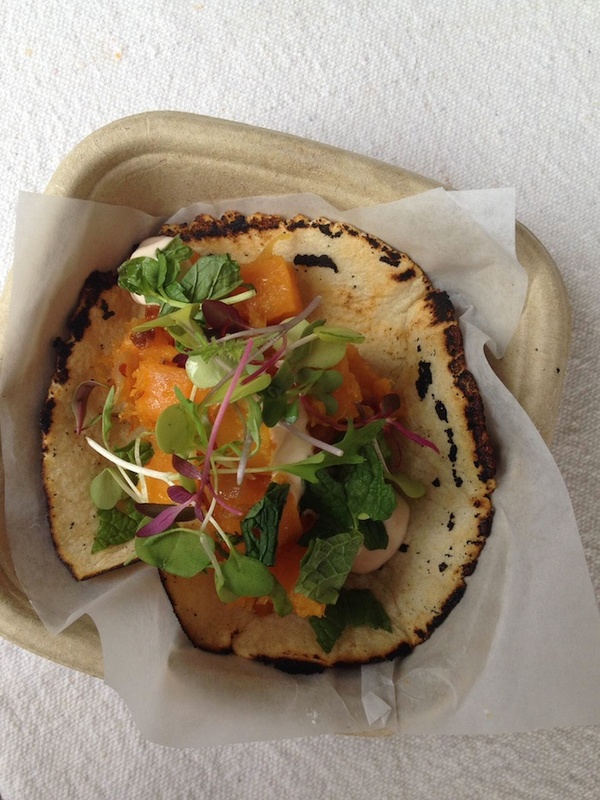 Chaya offers handmade vegan tacos which include sustainable, local, AND seasonal ingredients. Not to mention they are absolutely outstanding. A handmade taco from Chaya DC. I had the roasted winter squash taco with chili, queso, and mint. The squash was perfectly cooked, garnished with creamy queso, a hint of spice, and finished with mint and bulls blood micro greens – set in a handmade crispy tortilla. It was the best dish I had the entire weekend.